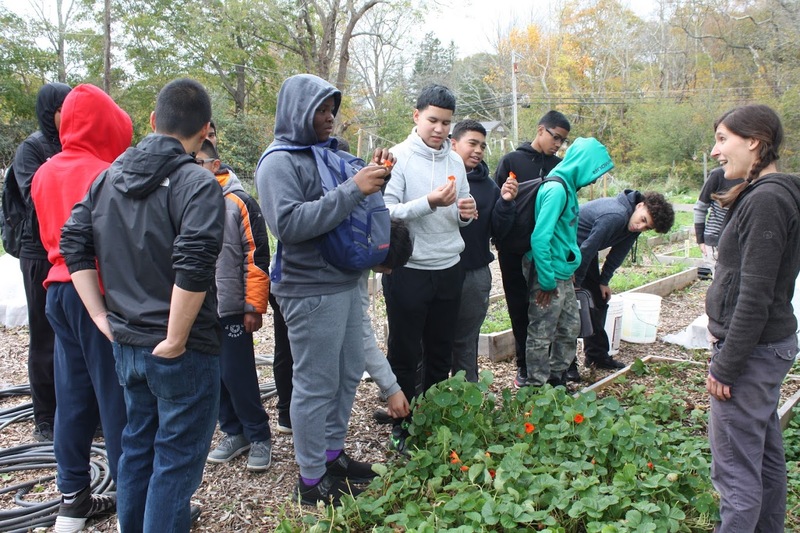 The Science Engagement Center at The Compass School Farm had a milestone moment this week: we hosted our first field trip group! Eighteen 8th grade boys from the San Miguel School spent the day at Compass doing tours, workshops, service and hanging out with our Navigators (7th/8th). This is the agenda we used. We had a spectacular day. One of my key takeaways was reflecting again on how fortunate Compass kids are. The activities that we prepared for our visitors are every day experiences for us. When I saw our “normal” through the eyes of visitors, I remembered that it’s actually pretty extraordinary. 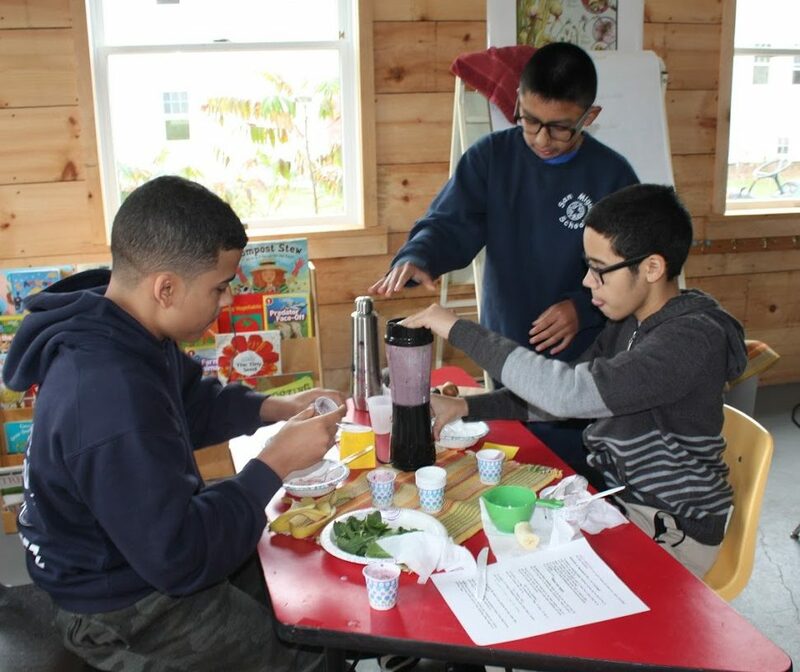 In Farm Headquarters, San Miguel students learn to make tasty smoothies using fruit and kale from our farm. 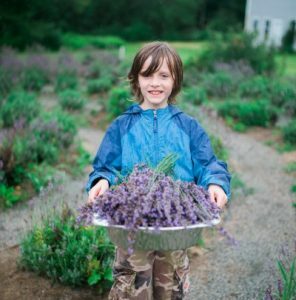 Farmer Kati teaches that even flowers can be edible. 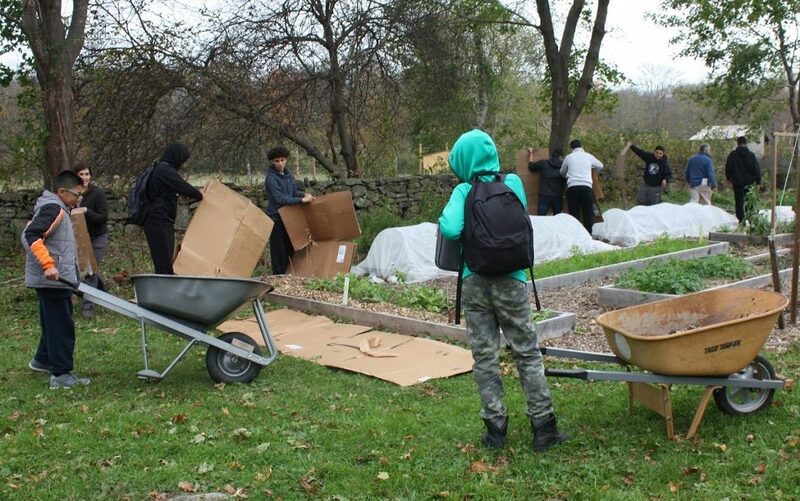 San Miguel students do service work to help us maintain the largest school garden in RI. We’ve been so focused on satisfying the charter regulations about sharing our innovative best practices with other schools that we didn’t realize how much we (Compass) would benefit from the exchange. Preparing to have the San Miguel students from Providence on Compass campus brought about some really important discussion about diversity and stereotypes. 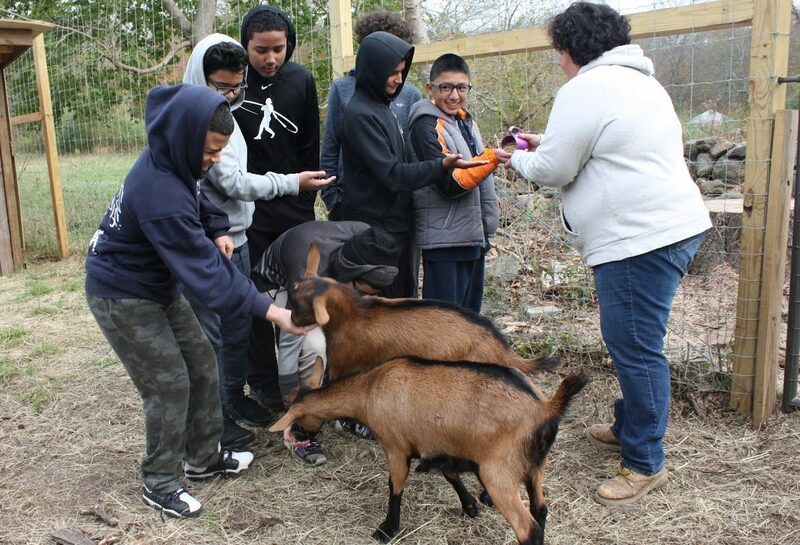 Then, hosting this awesome school and seeing first-hand the similarities and differences between us was really valuable exposure and awareness building for Compass students. 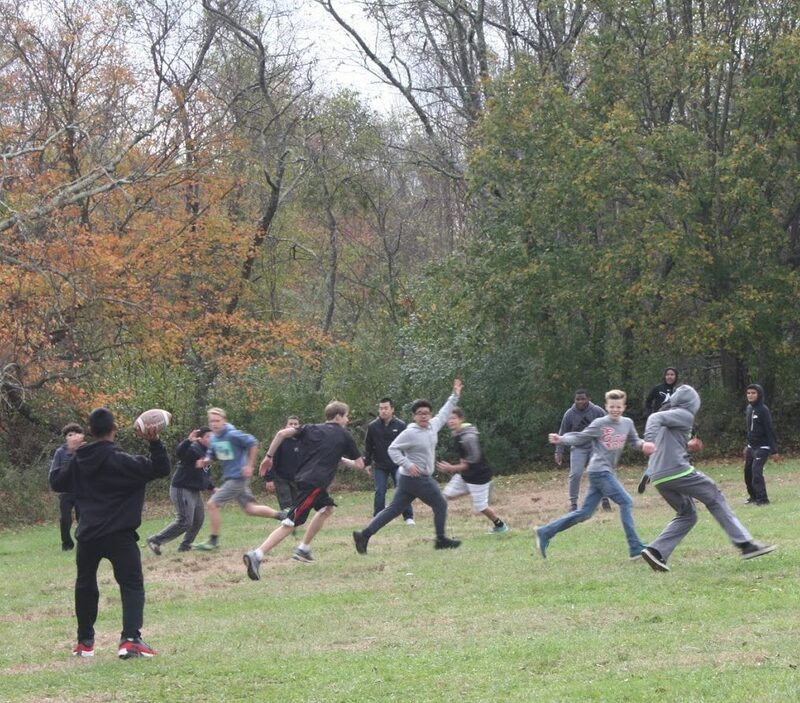 Compass and San Miguel students play football together. Compass students gather with their new friends from San Miguel. Cheers to these achievements and more to come! 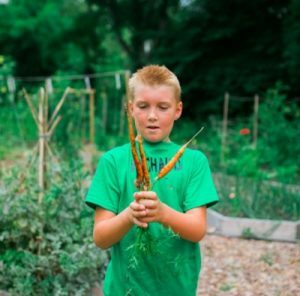 Special thanks to the Navigator (7th/8th) teachers and students, Christine Skaggs, Farmer Kati, nutritionist Sheryl Parente, and San Miguel Director John Wolf!